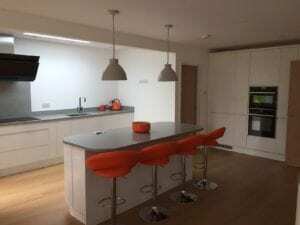 If you’re looking to create some stunning extra living space, increase the value of your home and avoid the hassle and cost of moving, R&B Builders is pleased to offer kitchen extensions in the Oxford and Abingdon areas using our outstanding skills in design, sustainability and craftsmanship. 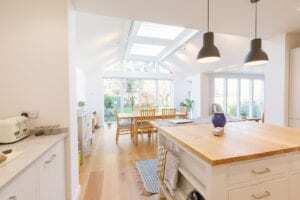 What are the different types of Kitchen Extensions? Broadly speaking, there are four main types of extension. The best one for your property depends very much on a variety of factors including what space is available, the age and style of your property, what your budget is and what the local planning laws are in your area. 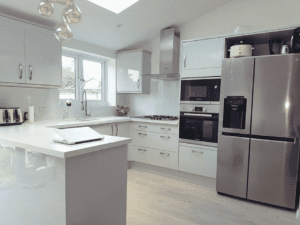 A rear kitchen extension refers to a type of extension which is only at the back of a property. This often provides a room which is around 5m x 3m with large roof windows to let in maximum natural daylight. 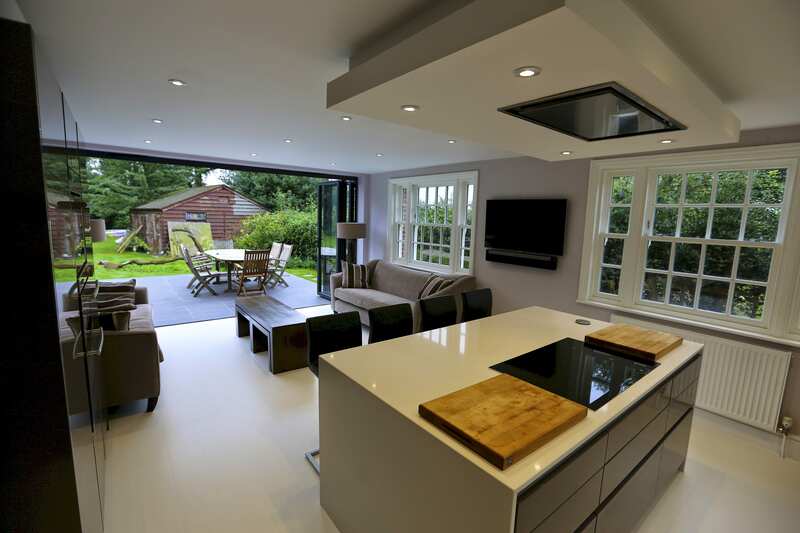 Side kitchen extensions are a particularly popular option, and are sometimes referred to as a side return extension. 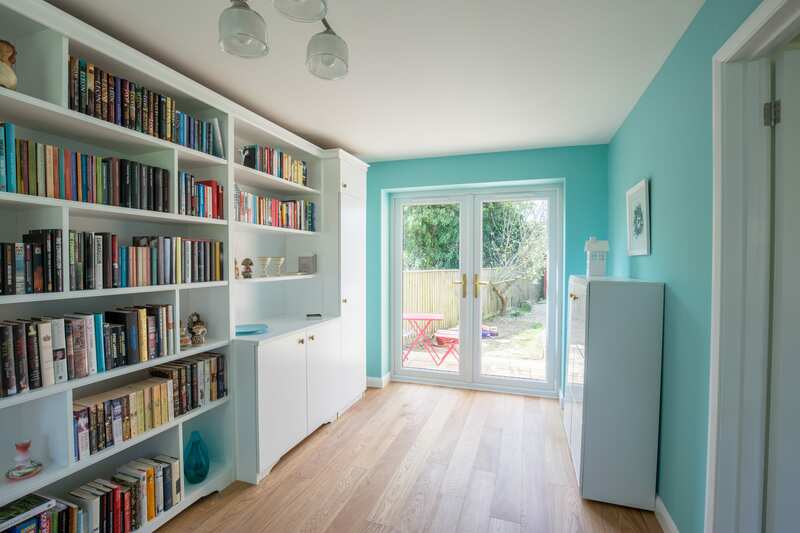 This type of extension generally requires building out 1.25m to the side of the property and joining it flush to the rear of the main part of the house. You can then choose either a flat or pitched roof over your new extension. Remember though that regulations often require pitched roofs have to slope down to 2.1m on the boundary wall. 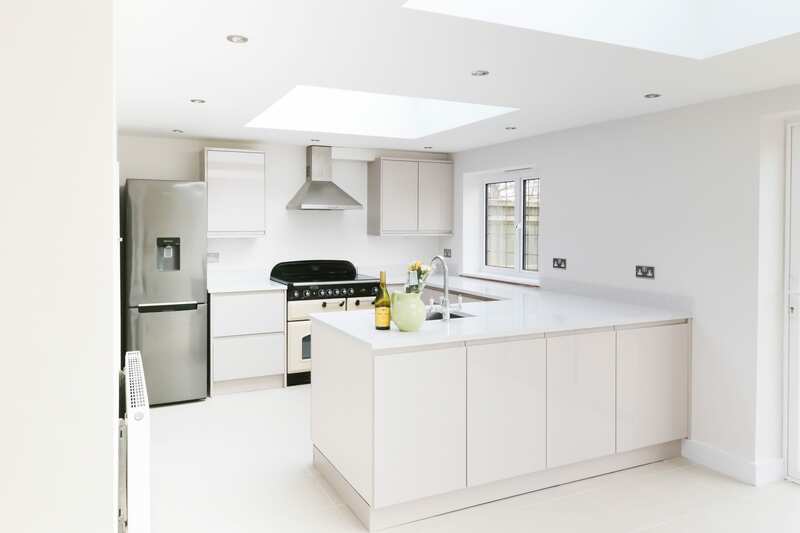 An l-shaped, or wrap around, kitchen extension refers to an extension which is not only on the side of a property but also wraps around the back. 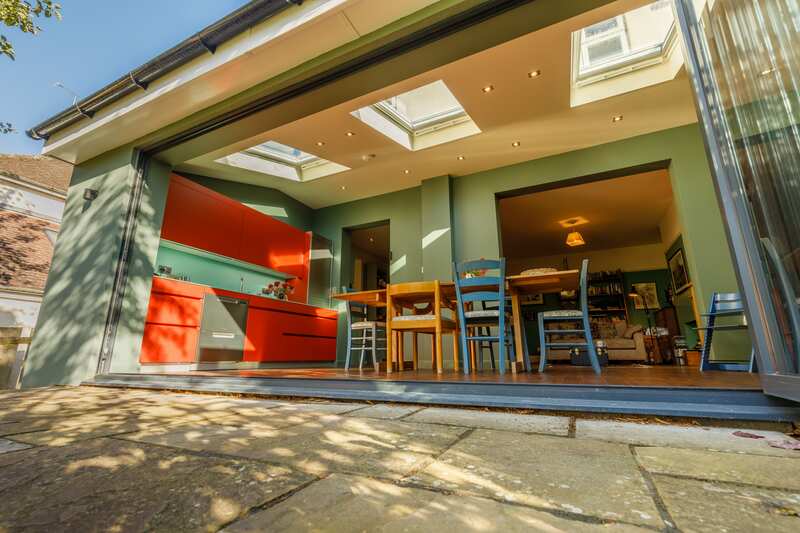 This can mean extending often three or four metres, giving a fantastically large kitchen, dining and living area that looks directly out onto your garden. 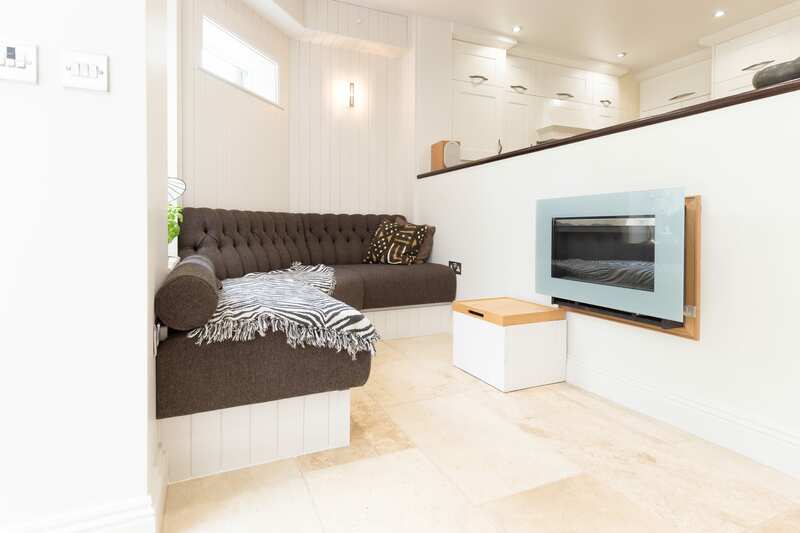 In this way, l-shaped/wrap around kitchen extensions provide additional space to the back of the property which creates the living space families need, so you can cook dinner whilst keeping an eye on the children watching TV or playing outside. In terms of roofing, again your options are pitched or flat. Flat roofs are particularly ideal as they mean you can keep the same ceiling height in the new part of the property to match the ceiling that’s already there for a seamless look. 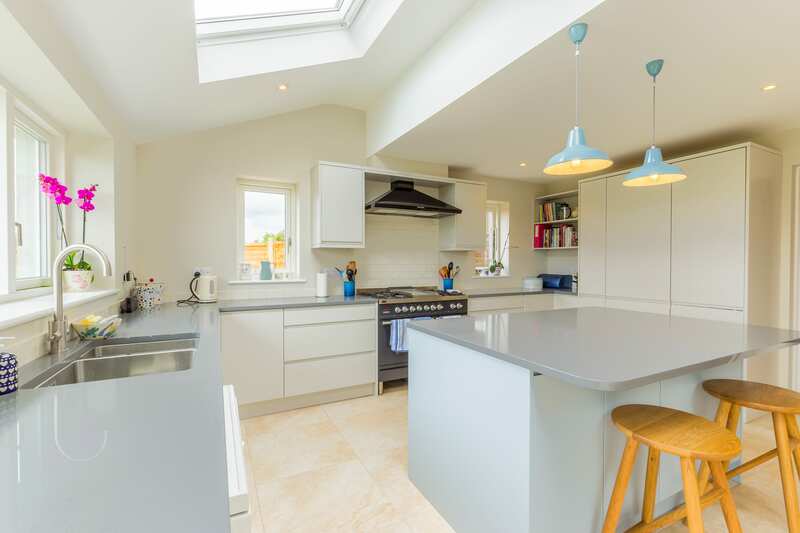 This type of extension means it’s very difficult to see which section is the original property and which part is new, particularly as the new structural beam is also elevated so that it’s flush with the ceiling. Although this does mean some remedial work upstairs in the rear rooms which needs to be taken into account, it does give an exceptional finish. We would love to discuss your ideas and are waiting for your call. Find out how you can get in touch by using our Contact Us page.